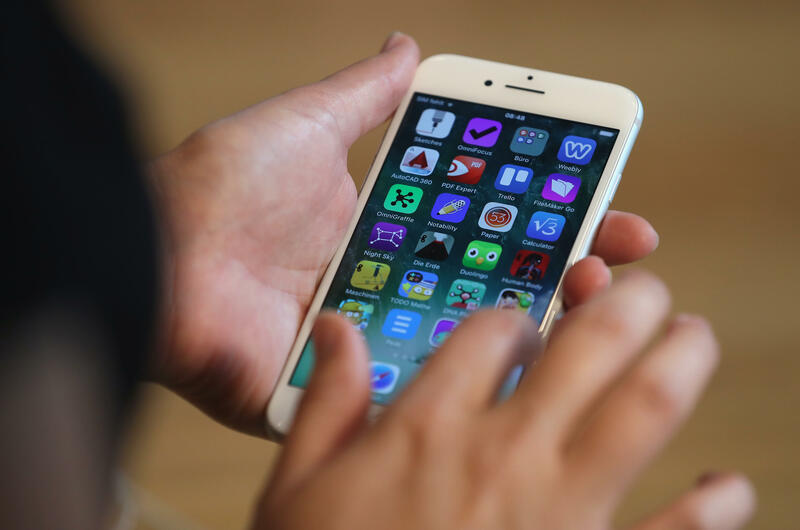 Is your iPhone slowing down with age? Or, in the case of its battery life, speeding up? One of the first signs of age on an iPhone is the battery not holding a charge as long as it once did. Of course, you might also experience odd battery behavior on a relatively new iPhone, where the battery conks out before the meter hits zero. Here are three common battery problems -- short battery life, shutting off unexpectedly, getting warm while charging -- and how to fix them. There could be any number of reasons for why your iPhone's battery is draining quicker than usual, but the first place to start your investigation is Settings > Battery. Under Battery Usage, you can peruse a list of your apps and see how much battery each has consumed in the past 24 hours or seven days. If you can live without a battery-hungry app, then delete it. Before deleting an app, make sure you read the fine print and see if underneath its name in the above list, you see Background Activity or Background Location listed. An app might be eating more than its fair share of battery resources because it's continually updating in the background or constantly requesting your location. For the former, go to Settings > General > Background App Refresh and you can disable it altogether or for individual apps. For the latter, head to Settings > Privacy > Location Services and, again, you can disable it globally or just for apps that are overusing the feature. I've also read that people have experienced better battery life by turning off "Hey Siri" because it means your iPhone isn't always listening, waiting to spring into action when you utter those two magic words. To disable this feature, go to Settings > Siri and toggle off Allow "Hey Siri." Perhaps there's a new version of iOS that will play nicer with your iPhone and its battery. Go to Settings > General > Software Update to see if an update is available. If you are running the latest version of iOS, then you might need to hit the reset button and start fresh. You can try restoring your iPhone to a recent backup you've made in iTunes or iCloud. If that doesn't do the trick, then you might need to perform a factory reset. It's a pain to get your phone set back up the way you like it, but at least your app purchases are available in the App Store so you can reinstall them for free. To perform a factory reset, go to Settings > General > Reset and then tap Erase All Content and Settings. If your battery problems persist past a factory reset, then it might be time to visit your local Genius Bar or mail your phone in for repair. Apple can then run its diagnostics to see if there is a hardware issue with your phone. You can read about Apple's battery warranty and start a repair request here. Personally, extreme temperature is often to blame for my iPhone shutting down seemingly at random. I live in New Hampshire, where winters are very cold and summers can get very hot. When I'm skiing or just out walking the dog on a particularly cold day in January, my iPhone will occasionally shut down. Same thing if I leave it in the direct sun in August. Apple recommends you keep your iPhone between 32 degree and 95 degree Fahrenheit, with 62 to 72 degrees being the ideal comfort zone. That off-brand charger you picked up at CVS or Duane Reade? It might have cost a fraction of what you'd pay Apple for a replacement charger, and it might also come in a fun color other than white. But if your iPhone heats up to a worrisome degree when it's plugged into your cheap charger, then it's time to locate the charger that came with your iPhone or find a suitable replacement. You don't necessarily need to buy from Apple, but Apple recommends you use only certified third-party accessories that have the Made for iPhone/iPad/iPod logo on their packaging. This article originally appeared on CNET. There are major developments in the violent arrest of a Florida teenager in an incident with racial overtones. Cell phone video captured white sheriff's deputies pepper spraying and punching the black 15-year-old last week. Now, all charges against the teen have been dropped. The deputies could face prosecution. Mark Strassmann spoke with the teen and his mother.